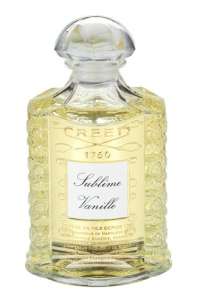 This entry was posted in All, creed, gourmand, Old Houses, Reviews By House, Reviews By Type, sweet and tagged bergamot, lemon, musk, orchid, tonka bean, vanilla. Bookmark the permalink. You’re so lucky [or your friend’s really insane]. I have a passion for vanilla fragrances, and some sour scent would add much more fresh feels to the perfectly sweet vanilla. It’s pricey so I’d love a sample from an insane friend of mine too. Lol, it was a really small sample in a 0.5ml tube. For some reason, I thought it was available for sampling on LuckyScent, but it looks like it isn’t, and it’s kind of a shame, but at the same time, I don’t feel like most people are missing out on much with this one. Thank you for dropping by, Melissa! I found a website not too long ago that actually sold oil versions of the products, and they were very close. I’ve used them in between times when I run out when I don’t have too much extra money to splash on a luxury cologne… either way, they are some of my favorites. Hey, just stumbled upon your blog, and love the detailed review. I really am missing some crazy friends like yours :PP this perfume sounded so promising based on the notes, but seems like such a let down now. Lovely post! !